Some TV watchers cannot see 3D television. Instead, they may see the picture in 2D or in stereo in some cases. 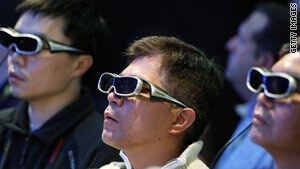 (CNET) -- When it comes to 3D television, I don't see it. Literally. The technology that's supposed to convince me that a 3D image exists when I look at a 2D screen doesn't work for me.